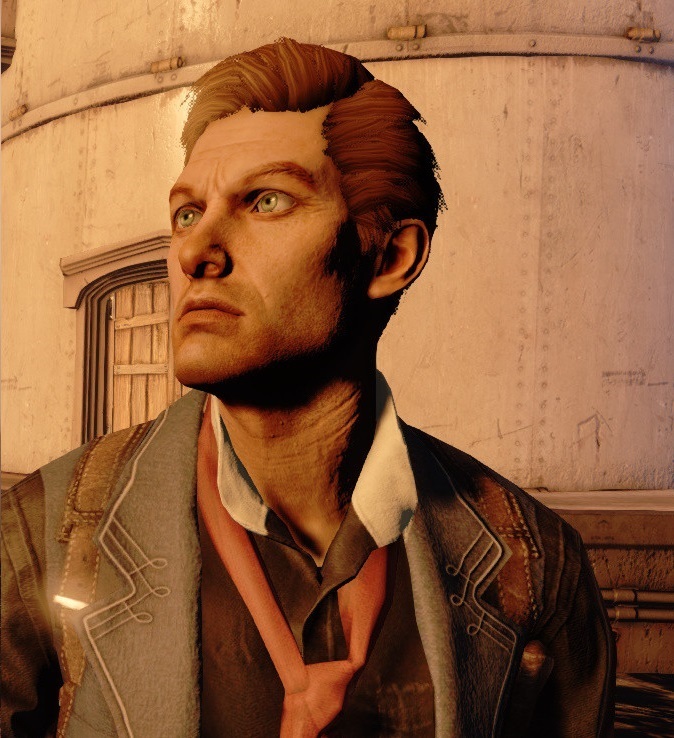 Booker DeWitt is the protagonist of the video game Bioshock:Infinite. I made this costume for Greg to wear at PAX Prime 2013. 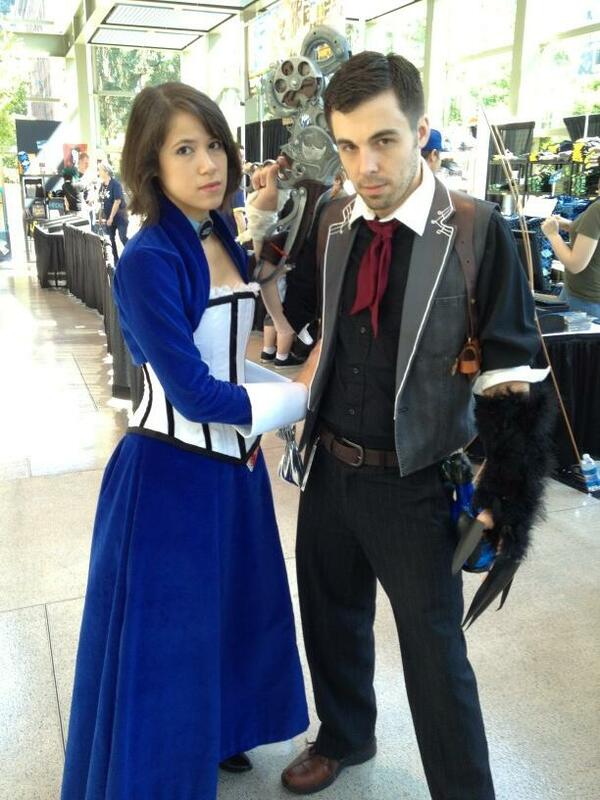 Shortly after Greg started playing Bioshock:Infinite, we decided this would be our “couples cosplay” for PAX. As a history geek, I liked the alternate history details throughout the story and I really liked the female character who was so integral to the protagonist’s quest. The Elizabeth-Booker interplay resembles the Meris-Greg interactions while Greg is playing video games. I point out treasure, ammunition, and puzzle clues while he mashes buttons and kills the baddies. For Greg’s part, he liked the character of Booker and felt comfortable taking on his persona. You rarely see Booker because you are playing in the first person mode. Thankfully, the depictions of Booker in promos and cover art include 3/4 of his body. Overall, this costume required minimal pattern drafting because Booker’s attire is not so different from men’s attire in the 21st century. As with many video games, I reckon, there were slight variations between Booker’s appearance in the game cover illustration, promo images, and in-game clothing design. Overall, I aimed for that happy medium between the various imagery sources. Although the above image shows a pinstriped shirt, I felt that a pinstriped shirt on top of a pinstriped pants was too much. The in-game imagery and one of the alternate covers showed a solid black shirt, under a gray vest, with black or dark gray pinstripe pants (below). The majority of Booker’s costume was thrifted from our local Value Village and Goodwill stores. Regardless of how much I enjoy the puzzle-like challenge of pattern design, I was grateful to find most of what we needed for Booker ready-made. It eases some of the pre-convention pressure and let me focus on the details. That is not to say that Booker came together without any sewing. 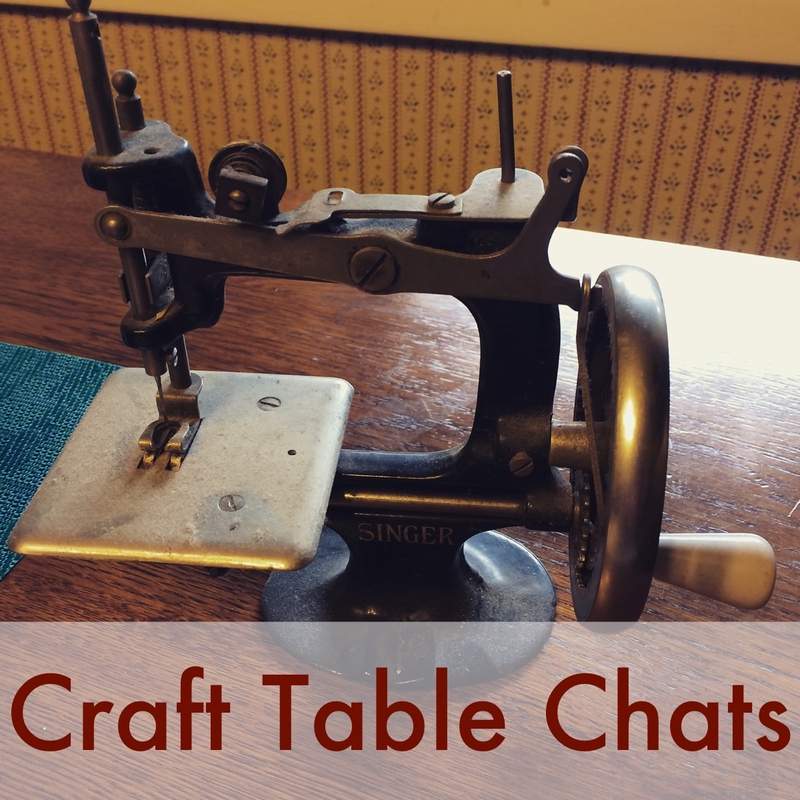 If ever I wish to call myself a “Fabric Alchemist,” it is when I take on projects like Booker, which require taking pre-made garments apart, altering them, and refitting them into something new. The hardest garment to find in store was a black shirt with white cuffs. These exist, but tend to be more formal (and thus more expensive) than your average button-up oxford shirts. We only found a few online, and they all cost $60 or more. My solution was to buy a used white shirt and a used black shirt, and then transpose the white cuffs and collar onto the black shirt. The pants were a little long, so I hemmed them with a blind stitch. If you ever need to hem dress pants and keep the seam hidden, these are two great tutorials about sewing “blind hems” from Buzzy Bee’s World and Coletterie. The sleeves had to go and the hem was shortened to hit at Greg’s wait/belt buckle rather than his upper thigh. Otherwise the lapels were the right shape, the material was a suitable blend of rugged and proper (what I might expect from a former solider in an era when suits and neckwear were the norm) and the breast pocket added a nice detail. 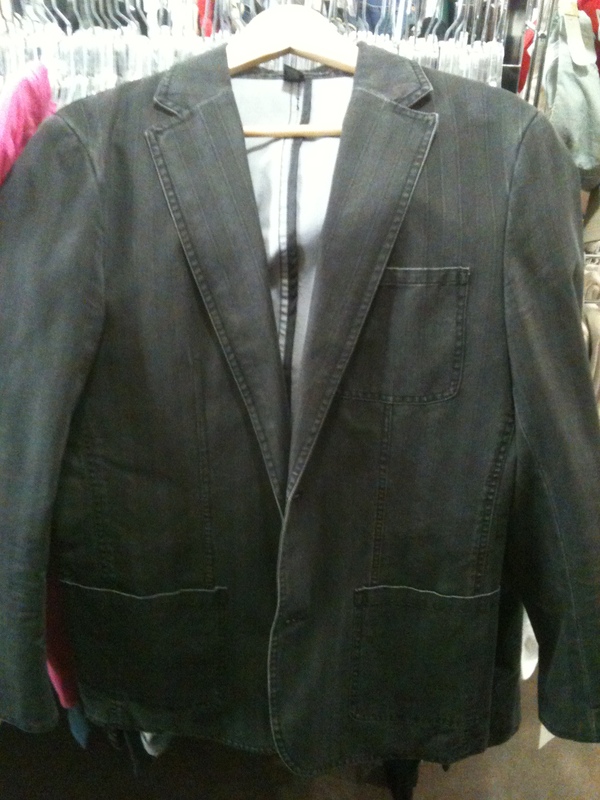 The jacket was not a full black, but a charcoal gray. While I’ve seen a great deal of black lining for the lapels in other Booker costumes, the sleeves of this particular jacket were lined with a fantastic gray satin-like material. This decision saved me money and time, and since the in-game image of Booker (above) makes his vest lapels look more gray than black, I felt the source material justified my decision. 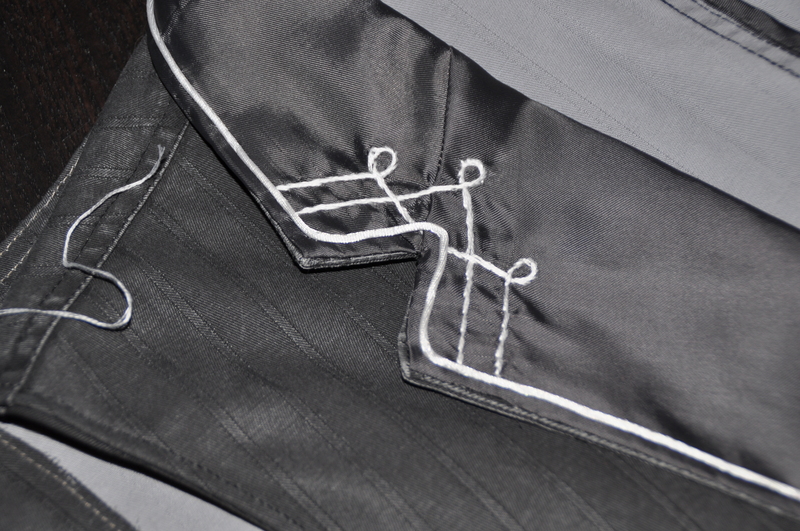 For aesthetic reasons, I hand-stitched the lapel contrast satin lining and the decorative white trim. I did not want seam lines to show on top of the lining, and I was having trouble getting these oddly shaped pieces of fabric to stay in place long enough to be machine stitched. I do not recall how long it took to hand-sew the collar, but I know it was during a mini-marathon viewing of Eureka. I used “rat tail” (horrible name) satin cording for the lapel trim and white embroidery thread (about 2-3 single threads together) to embroider the curly-loop design. The stitch is a combination of a “split stitch” and a “stem stitch.” I defer to the interwebs and YouTube if you have any questions about embroidery. Here is a teaser, more photos to come. I will be posting about Elizabeth’s costume shortly, as well as sharing photos of Booker and Elizabeth in action at Pax Prime, GeekGirlCon, and the Child’s Play Charity Dinner. But if you are a fan of the Bioshock franchise, check out the amazing costume and prop work being done by Those Crazy Gilberts! They are a wife-husband team of cosplayers and we stumbled on each other while we were working on two very different Bioshock cosplay projects last summer. Meris! 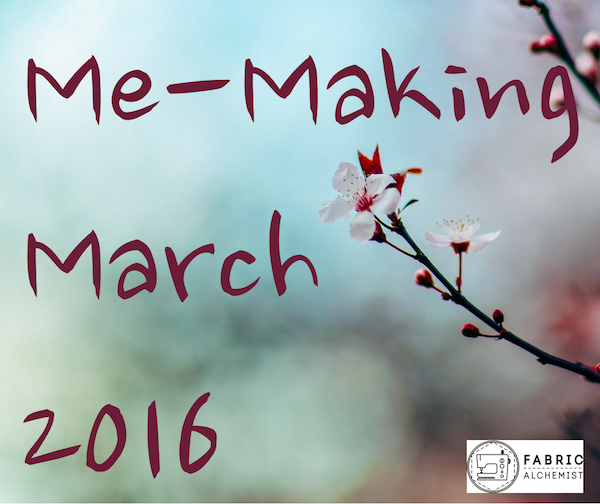 Thank you so much for linking to us! You guys’ Elizabeth and Booker look amazing! I’m really excited to see the follow up posts, particularly the Murder of Crow Vigor construction as it was my personal favorite of all the vigors. Both costumes came out wonderfully! When I did green vest Booker for the hubby, I totally agree, the black shirt white cuffs was frustrating to find, etc. Beautiful hand-stitching on the vest, and I’d love to know how you did (or where you found) the leather straps he wears, as I had trouble with these. I think Greg looked online at one of the other Booker cosplayers who had provided a list of where he found his props and then just bought the same or a similar holster. We didn’t get any guns to go in the holsters because we weren’t sure what the convention would allow. We new the skyhook would be approved. Yeah, understand on the guns. I should have gone the purchase route on the holster. My attempt at leather working left a lot to be desired and learned!! How did you attach the “rat tail” (agreed that it’s a horrible name!) satin cord? Did you hand stitch it down or use a fabric glue? I love the look of it more than any other I’ve tested but I’ve never worked with a cord like that before. Thank you! I am very happy with how it came out. It just is so smooth. I opted to hand stitch it down. I used a variation of a blind hemming stitch to keep most of the thread hidden inside the cord. Occasionally I pierced it through fully, but made that a very tiny stitch so people would see the cord not my hand stitches. I think this cord is too narrow for fabric glue and cording is very slippery. Good luck!